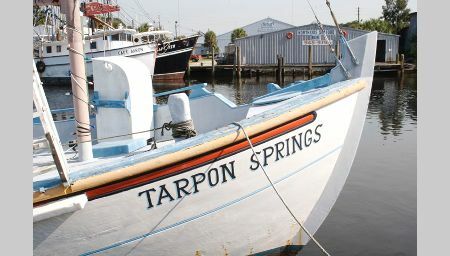 The workshop will be held in a large vacation home (8 bedrooms) in historic Tarpon Springs, on the gulf coast of Florida. Workshop Fee: $660. Clay will be provided. Lodging for 7 nights $250 double/triple, $350 single. ½-day break in the middle of the week to enjoy the area. 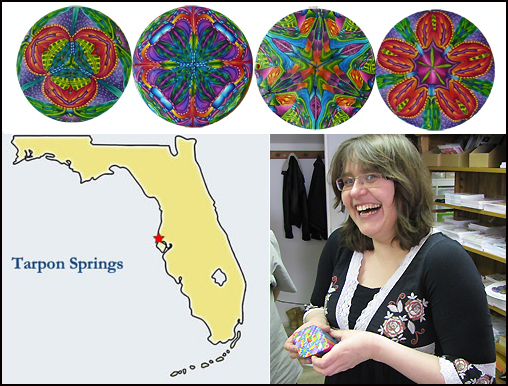 This entry was posted in Classes/Workshops, Kaleidoscopes, Metallic Clay. Bookmark the permalink. OMG!!!! I would live to attend a workshop in my state! Please keep me posted with updates! 😉 hooray! Thank you Evelyn. Jenny Marsden is trying to arrange for me to come teach in Australia in 2016. Wow! I’m in The Villages in FL. I definitely will attend your workshop. What fun! Nancy, I’m thrilled you are interested in the workshop. One thing you should know is that I’m planning on having everyone stay on-site. I figured out the cost per person for lodging based on everyone staying there. I love staying on site. I’m only a half hour from the Orlando Guild Fandango, but I stay on site. It’s part of the experience. Then send in the form. 2 people have registered so far. It looks and sounds like a lot of fun and great canes. Hope you have a great time. Are you ever coming to Canada? Hi Carol – Very interested in this Florida workshop. Please keep me posted. Thanks. Since you are in the state, how about coming to the East Coast of Florida too. I can look into the possibility. When you are opened to possibilities, who know what can happen.. I would really like to attend a workshop! I love your canes and want to take a class and I live in Glenwood Springs, CO. I am self taught and know I could learn so much in a class in CO. I’m also 73 and don’t travel very much. I would like to attend your Tarpon Springs intensive. I haven’t been able to find the information page to sign up.